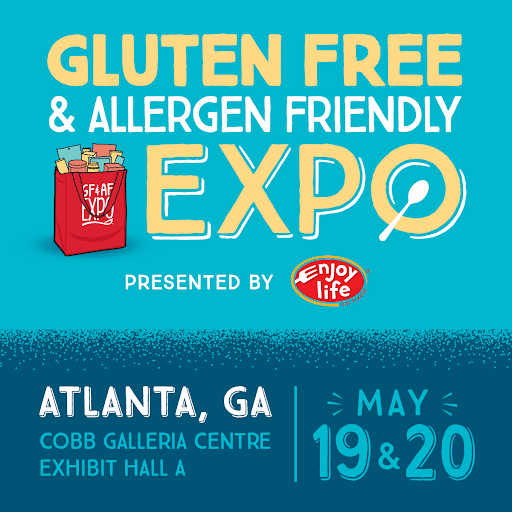 Join me at the Gluten Free & Allergen Friendly Expo in Atlanta! Enter the giveaway for a chance to win a free one-day ticket to the GF&AF Expo in Atlanta, GA. I am so excited to be a part of the Gluten Free and Allergy Friendly Expo in Atlanta this year! Not only am I an official blogger for the GFAF Expo, but I am also a presenter this year. I will be giving a class on Sunday, May 20th about easy gluten-free and dairy-free cooking. Last year I attended the GA&AF Expo in Atlanta and had an amazing time! 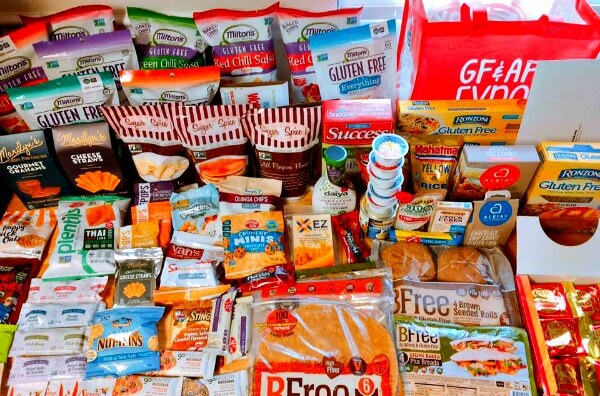 At the GF&AF Expo you can sample the best gluten-free products all in one room. Everything from decadent baked goods, pizza, snacks, and a variety of healthy options too. Not only will you sample and learn about new gluten-free products, but you can attend classes from gluten-free experts. Everyone also receives an Expo tote upon entrance. Last year mine was overfilled with lots of gluten-free goodies. Below is a picture of all of the free gluten-free samples I was blessed with. The exhibitors were amazingly generous! You can read my full review of last year’s expo here. Once again this year’s list of exhibitors for the Atlanta expo is impressive! Sometimes you feel like you are all alone on this gluten-free journey, and it was so encouraging to be around others who understand your walk. Come be with your people for a weekend! I promise you won’t be disappointed. Make sure you enter the giveaway below for a chance to win a FREE ticket to the GF&AF Expo in Atlanta, GA on May 19th or 20th. This post contains affiliate links. These affiliate links help me pay for hosting this site and does not cost you anything. The GF&AF Expo also have given me two DISCOUNT CODES you can use to purchase tickets Click HERE to receive the discount ticket rates. Make sure you use the discount codes. Please see them below. For 30% OFF use the code EARLYBIRD (valid through 4/18). Click HERE to buy tickets at a discount! For 20% OFF use the code ADVANCE (from 4/19-5/18). Click HERE to buy tickets at a discount! I am so looking forward to the Expo in Atlanta in May! The GF&AF Expo has multiple locations across the country, so be sure to check out their website to find an Expo near you. 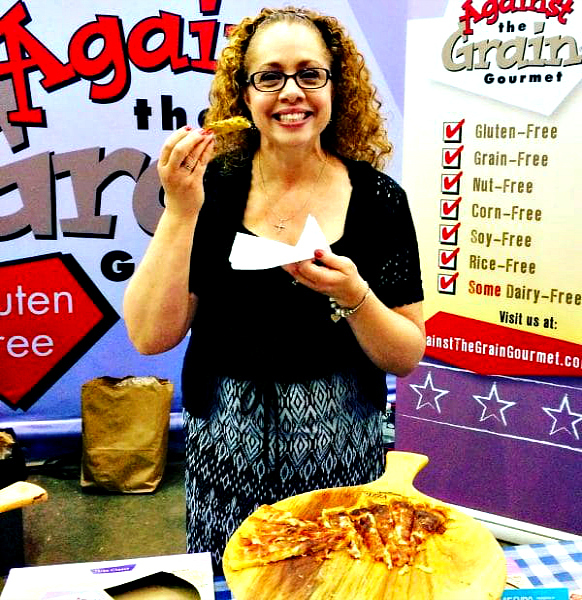 I have partnered with the Gluten Free & Allergen Friendly Expo to give the 5 free one-day tickets to five of my readers. To enter the giveaway make sure that you sign into the Raffelcopter giveaway app (below). You get an entry for each task you do (signing up for my newsletter, following on Facebook, Instagram, Pinterest or Twitter, blog comment or Twitter tweet). Entries can be earned for each action selected (including signing up for my newsletter, leaving a comment, a Facebook page like, following on Instagram, Pinterest or Twitter). Please don’t forget to click that you completed the task on the Giveaway App after you’ve done each task. The Winner will be verified and announced here at Mama Knows Gluten Free on Monday, May 14, 2018. The Winner will be contacted through Facebook or E-mail (dependent upon how the Winner logged-in to enter). The Winner has 48 hours to claim the prize. Please contact Audrey at Mama Knows Gluten Free if you have any questions or comments regarding the giveaway.